Avodas Ha’Gershuni. First edition Frankfurt 1699. 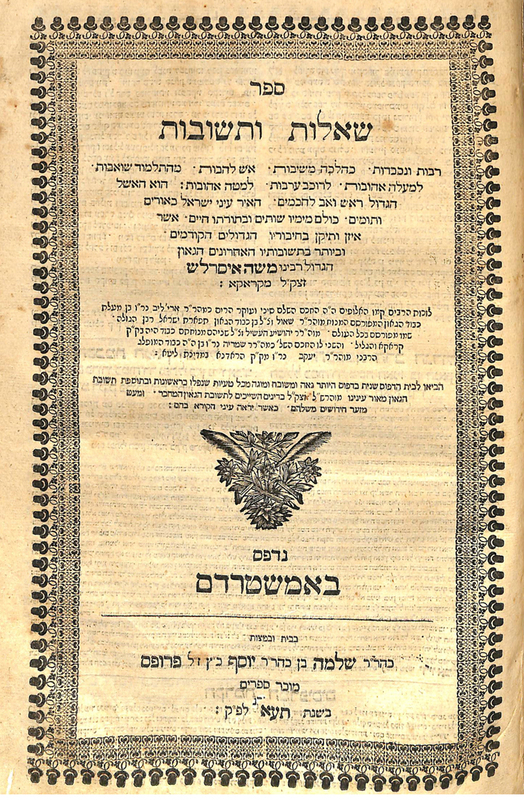 Halachic responsa of R. Gershon Ashkenazi. 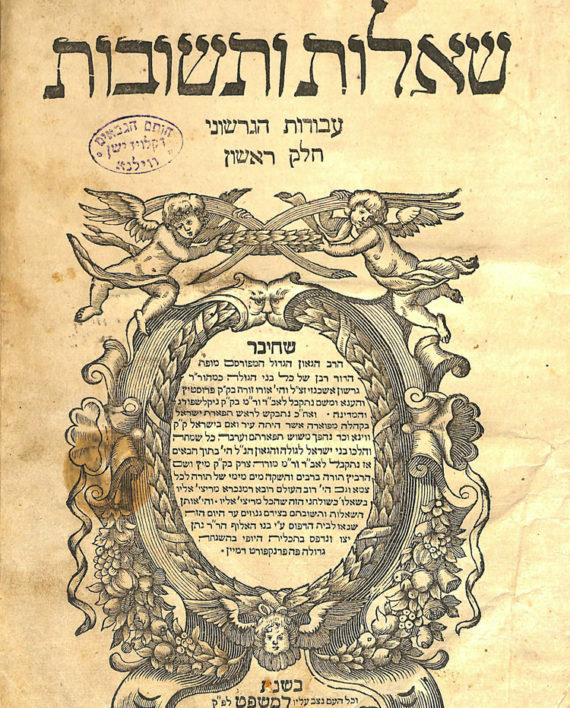 R. Gershon Ashkenazi (died 1693) was amongst the distinguished disciples of R. Yoel Sirkis (B’ach), R. Yehoshua of Krakow (Meginei Shlomo) and R. Mendel Kruchmel (Tzemach Tzedek). He served as a Dayan in Krakow and later as Rav in various communities including Prostitz, Nikolsburg, Vienna and Metz. 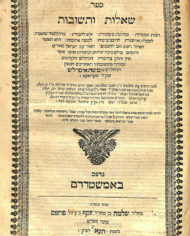 Author of Avodas Ha’Gershuni and Tiferes Ha’Gershuni. Vinograd Frankfurt 153. Johann Voishet Press. 4, 98 pages. 33 cm. Good condition, some markings, one very small hole in title page. Antique binding. 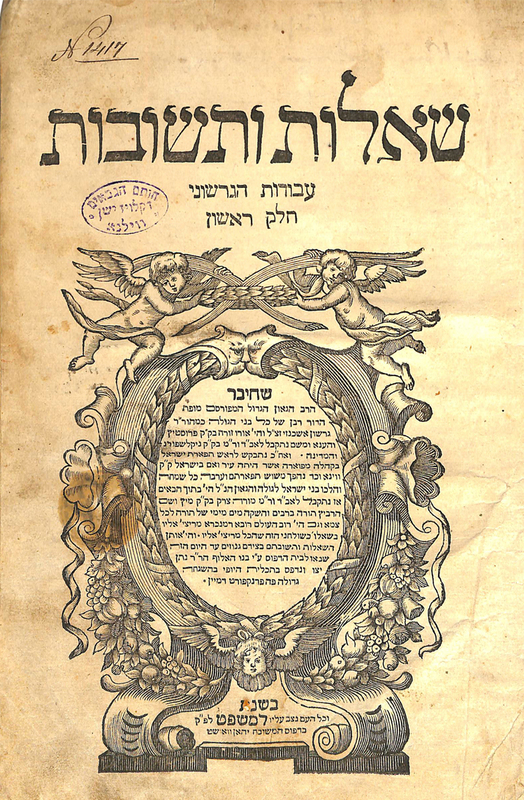 Halachic responsa of R. Moshe Isserles (Rema). Vinograd Amsterdam 939. S. Proops press. 2, 73 pages. 33 cm. Good condition, some markings, one very small hole in title page. With library stamp of R. Y.Y. Ruderman Rosh Yeshiva of Ner Yisroel Baltimore.